Aurora, ON, October 27, 2017 – The Aurora Sports Hall of Fame (ASHOF) is proud to announce that Cameron Ormond, 16 and Eric Weston, 17, are the two recipients of the new Future Hall of Famer Award. The Future Hall of Famer program recognizes one female and one male exceptional student athlete who has exemplified excellence in sport in Aurora. 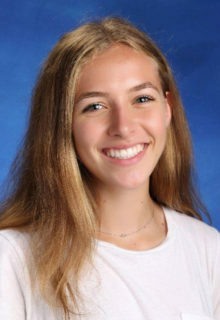 Cameron Ormond, 16, is cross country and track runner that began in her sport in the early days at St. Joseph Grade School. 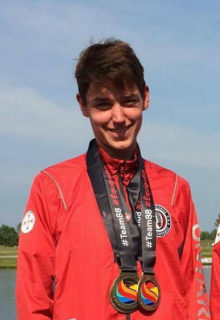 Now a runner for the Newmarket Huskies Track Club, Cameron has seen success on the track by winning the Provincial Championships, a silver medal at the National Track and Field Championships, Gold at OFSAA Cross Country Championships and 4th place at Canadian Cross Country Championships (all in 2015). 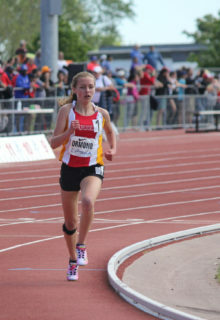 In 2016 and 2017, Cameron defended her Cross Country OFSAA title as a Junior and was Canadian Champion in the 1200, 1500 and 3000m races. Cameron continues to train with the Huskies and represents Aurora High School. Cameron aspires to compete in the 2024 Summer Olympics for the 5000m track event. Eric Weston, 17, has been paddling competitively for 5 years as a flatwater sprint kayaker. He started kayaking recreationally at the age of 4 and found success at the provincial level just two years into his competitive tenure. 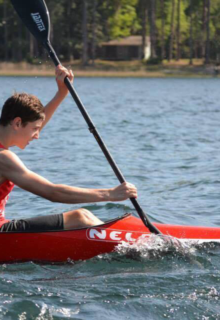 Eric finished in the top five in the under-17 1000m and under-15 500m races at the Western Ontario Division Canoe Kayak Trials in 2014, while reaching the top of the podium in the under-15 1000-metre. In 2015, Eric qualified for the National Championships in the 1000m as a 15-year-old. In July 2017, Eric won 4 gold medals at the North American Indigenous Games (NAIG). Eric now trains at the Rideau Canoe Club and hopes to join the Canadian men’s National Kayaking Team. Both Cameron and Eric will receive a $500 bursary generously donated by the Black Family Trust and the Optimist Club of Aurora. Sports writers Jake Courtepatte, from the Auroran and John Cudmore, from the Aurora Banner, provided the Future Hall of Famer nominations to the Hall of Fame. The Future Hall of Famer program is sponsored by Brendan Black, with RBC Wealth Management- Dominion Securities. Mr. Black liked the idea of connecting his business (planning for the future) with the support of youth athletes who are working on their sport futures. Mr. Black made a three-year commitment to sponsor the Future Hall of Famer program through to 2019. The Aurora Sports Hall of Fame was established in November, 2013 by Sport Aurora and with the financial support of the Ontario Trillium Foundation. The Aurora Sports Hall of Fame (ASHOF) celebrates sport history and excellence and is dedicated to the recognition of the important place that sport has assumed within the fabric of Aurora. Every person who values the contribution of sport to our community and country is a part of that commemoration. More information is at https://aurorashof.ca.